The case was initially being investigated as an officer-involved shooting, in part because the woman was still in uniform; now, the department is trying to get a warrant for manslaughter. A police officer in Dallas shot and killed a man she thought was in her apartment - only, it wasn't actually her apartment, authorities said. After her shift ended Thursday night, the officer mistakenly entered the wrong apartment, Dallas Police Chief Renee Hall told reporters on Friday afternoon. 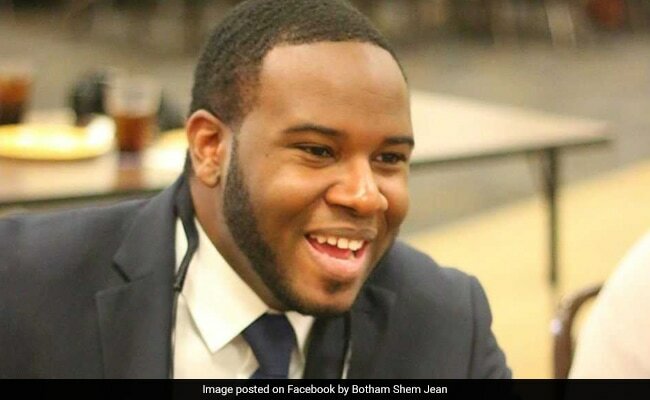 The man who lived there - identified as 26-year-old Botham Shem Jean - was home when the officer entered; while it's unclear exactly what happened between Jean and the officer, Hall said, but the officer fired her weapon. Reporters pressed the police chief about the officer's mental state when she entered the apartment at 1210 S. Lamar St. in Dallas - was she fatigued, or under the influence? 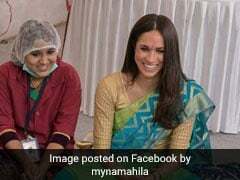 - but Hall didn't want to speculate. She couldn't even say where the woman was, or whether she was in custody. The officer, a five-year veteran who has not yet been publicly identified, has been placed on administrative leave, authorities said. "Right now, there are more questions than we have answers," Hall said. She added that "as we continued the investigation it became clear that we were dealing with what appears to be a very unique situation." The Dallas County District Attorney's Office is investigating the incident and the Texas Rangers will be conducting an parallel investigation, Hall said. Jean was from Saint Lucia, a small Caribbean island, according to his Facebook page. He graduated in 2015 from Harding University, where he studied accounting and was known for his powerful singing voice, the Christian Chronicle reported. He often led the singing at the university chapel. Harding President Bruce McClarty remembered how he once asked Jean to lead the chapel in a hymn that Jean had never heard before, according to reporting from the Christian Chronicle. Jean went home and called his grandmother in Saint Lucia; she taught it to him over the phone, from thousands of miles away. When he returned that night, he sang the song with grace and poise, as though he'd always known it. One of Jean's uncles, Earl Jean, took to Facebook to remember his nephew. Alongside photos of the young man grinning in a suit, and hanging out with his family, clinking glasses in a kitchen, Earl said it was the worst day of his life. "How can this nasty world take you away from me," Earl wrote. "Lord, keep me sane." Jean's mother, Allison, is a former Saint Lucia government official who oversaw the island's Department of Education, Innovation & Gender Relations as well as the Ministry of Infrastructure, Port Services & Transport, according to reporting from the Dallas Morning News. She was visiting a daughter in Florida when she learned her son had been killed. "I couldn't believe it when we got that call. It just feels like a nightmare," Allison told NBC News. "I wish I could wake up." The victim's mother is struggling to understand how the officer couldn't have noticed she wasn't in her own apartment, NBC News reported. Allison said she didn't want to judge the woman who killed her son, but that the police department's vague explanations left her grappling for clarity and comfort. She wondered whether race had driven her to pull the trigger, according to NBC News. "I need to look into her eyes and ask her why did she do that to my son," Allison told NBC News. "Botham would want me to get justice for him. The state needs to pay for my son."